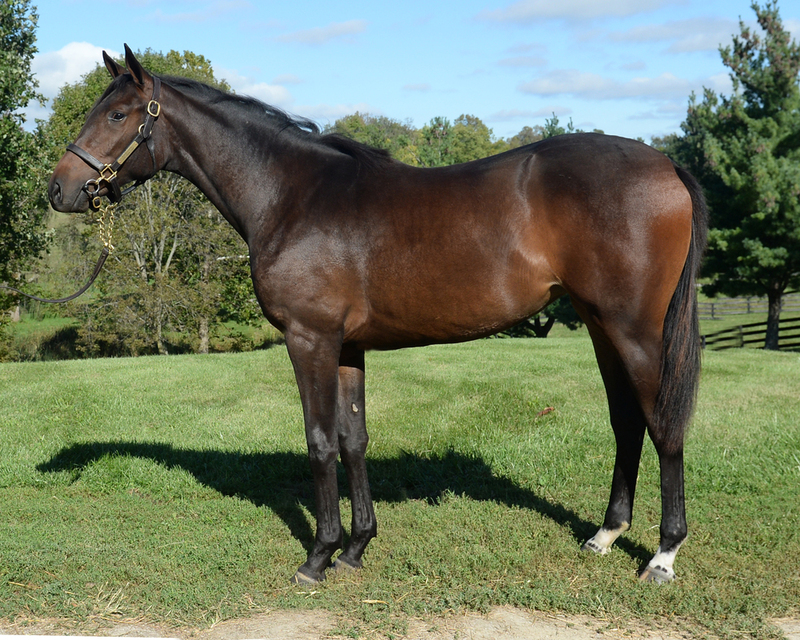 This is a filly, from the second crop of Kentucky Derby winner Super Saver, and currently the leading First-Crop sire. He is off to a very great start as a stallion. His yearlings have sold for as much as $750,000. 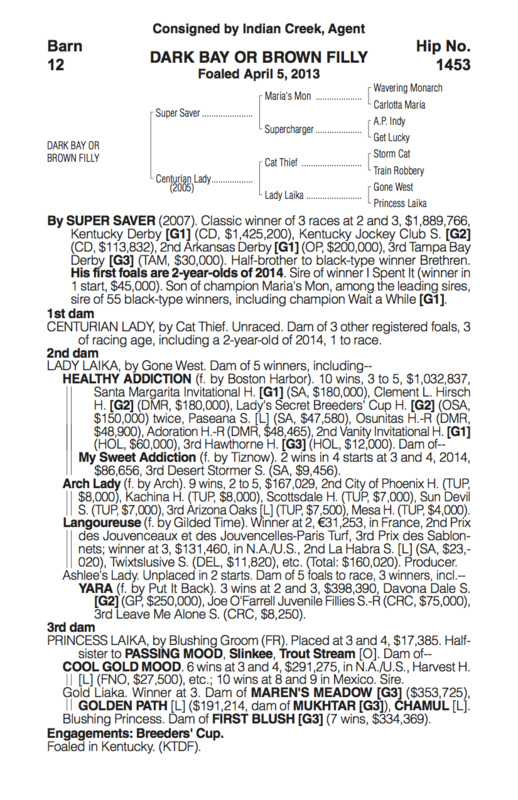 His yearling average thus far in 2014 is $123,467. We were able to pick this filly up post sale for $75,000, a good price for a very nice filly by very possibly the champion sire of two year olds. This filly is very good-bodied filly. She has solid muscle, a good hind leg and an athletic walk. She displays a good chest and shoulder, good bone. From her physical, she appears to be quick and early. Please click the thumbnails for the full-sized image.